The Pottery Ring: A Fairy Tale for the Young and Old (Newcastle upon Tyne Community Relations Council, 1981). Where No Poppies Blow: Poems of War and Conflict (Grevatt & Grevatt, 1983). Hinduism Iconography Pack (with Dermot Killingley) (Grevatt & Grevatt, 1984). In Sundry Places: Views of Durham Cathedral. (Grevatt & Grevatt, 1987). Farewell the Plumed Troop: A Memoir of the Indian Cavalry 1919-1945 by D. M. Killingley (co-edited with Dermot Killingley) (Grevatt & Grevatt, 1990). Sound, Speech, and Silence: Selected Poems (Grevatt & Grevatt, 1995). Lent and Easter Cycle: Poems for meditation (Grevatt & Grevatt, 1998). 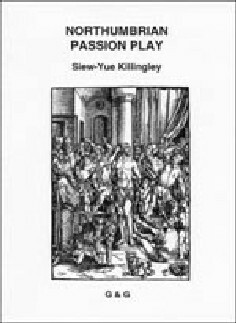 Northumbrian Passion Play (Grevatt & Grevatt, 1999). A Once-Green Vine: Poems of Joy and Despair. Grevatt & Grevatt, 2003. ‘A Question of Dowry’ and ‘Everything’s Arranged’ in Twenty-two Malaysian Short Stories, ed. L. Fernando. (Heinemann Educational Books, 1968). Poems in Pepper and Incense: Poems from Northumbria, Ed. by K. Storey. (Warkworth: Parvis Books, 1982); What Big Eyes You’ve Got: Women Write about Grandmothers, ed. Kitty Fizgerald and Jan Maloney (Overdue Books, 1988); Poetry Marathon ’93, ed. Bryan John Allen (1993); Skoob Pacifica Anthology No.1: S. E. Asia Writes Back! (Skoob Books, 1993); The Spirit of the Cathedral (The Dean and Chapter of Durham Cathedral, 1983); New Christian Poetry, ed. Alwyn Marriage (Collins, 1990). Contributions to A Handbook of Hinduism for Teachers (with Dermot Killingley, Vivien Nowicki, Hari Shukla and David Simmonds) (Newcastle upon Tyne Education Committee 1980; 2nd edn. Grevatt & Grevatt 1983); The Lower School Assembly Book, ed. D. Self (Hutchinson Education, 1987).